Affectionately called the “mother ship” our Port Credit shop is the foundation of the Gears community and our home base. 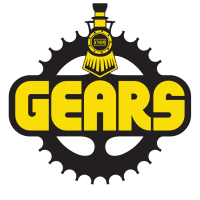 Our original shop, Gears Port Credit, has been a steadfast fixture and link to the local cycling community for 3 decades. This shop has witnessed a lot of change over 30 years, yet continues to remain relevant and very much at the forefront of all things cycling. In addition to being the first shop, Gears Port Credit, play a very important role as the administrative centre for our business. It’s also were you’ll find many of our veteran staff, who helped us define, develop and create our distinct Gears Culture. From this core… our business grew, and continues to more forward. Our newest shop opened its doors in 2016 and is located in Toronto’s newest and most unique neighborhood. The Canary District was conceived on the foundation of the 2015 PanAm Games and strives to be a community built upon healthy, active lifestyles. This growing and dynamic neighborhood has embraced Gears and we’ve happily become a cornerstone of this new urban community.